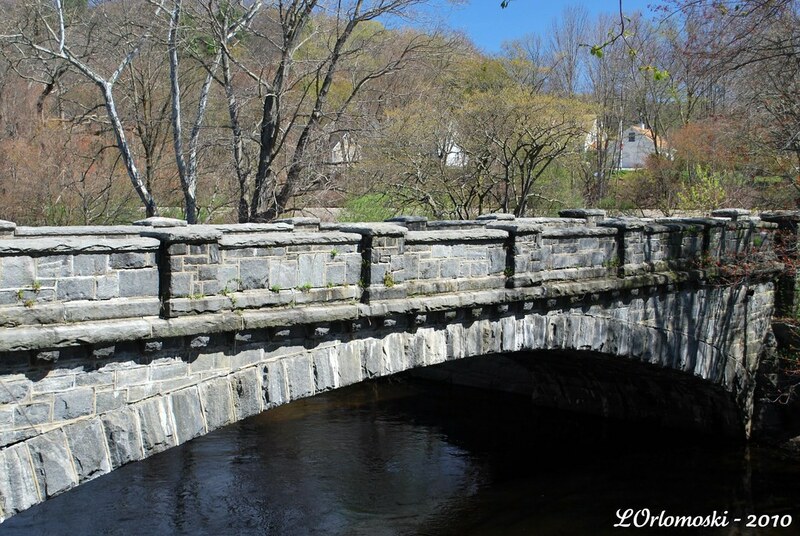 Continuing my walk through the Village of Yantic: just up the road a little bit from the Yantic Volunteer Fire Department and behind the post office is a beautiful old granite bridge that crosses over the Yantic River and leads to the residential area of the village. 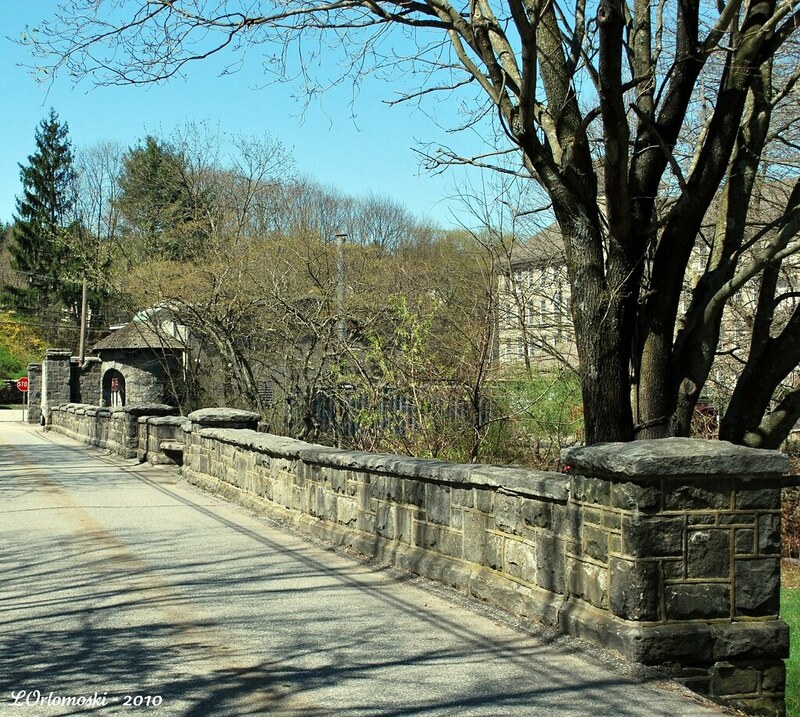 The bridge was originally the main gateway to a beautiful mansion that Winslow Tracy Williams, son of Winslow Williams and grandson of Captain Erastus Williams, occupied on what was known as Mansion Hill - now Sunnyside East Road. I'm not exactly sure what happened to the mansion that once stood there but from the old pictures I've seen it was definitely a beautiful place. Maybe there's someone who reads my blog via the Norwich Bulletin that could answer that one for me? Mansion notwithstanding (or not standing any longer! ), Winslow T. Williams was quite the prominent citizen of Norwich as his family was one of the most prosperous and productive in the city. Winslow served as the President of Norwich's 250th anniversary celebration in 1909 - which was apparently quite the shindig - and as such he made extensive plans to commemorate the city's history; plans which included the cadets of West Point marching in a parade, a celebration of the friendship between Norwich and the Mohegan Tribe, and even a visit by the President of the United States. 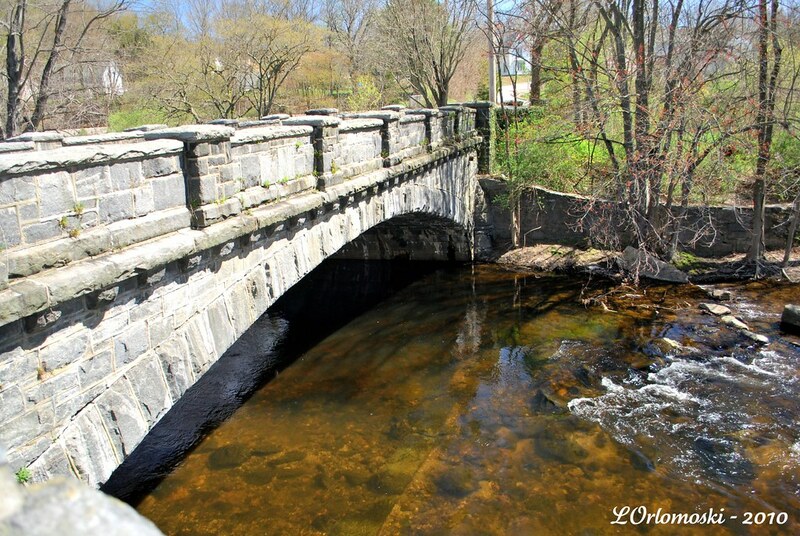 As part of the celebration, Winslow Williams decided to dedicate the stone bridge he had built in Yantic to his good friend - President William Howard Taft who came to Norwich for the festivities on July 5th and 6th, 1909. In honor of the President's visit a huge parade was held the likes of which Norwich has probably never seen since and people from all over Connecticut lined the streets as the President rode through the city in an open car as he helped one of the most prominent cities in New England at the time celebrate its history. 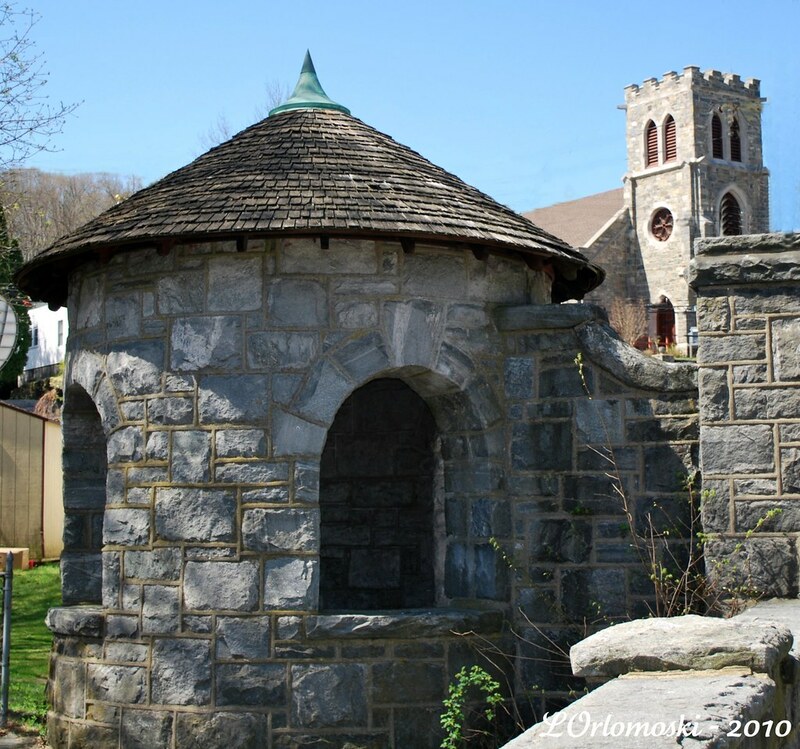 While here President Taft planted an oak tree at the Williams Mansion in the Village of Yantic and rode on his way to and from the mansion over the granite bridge that was erected in his honor and which still stands as a prominent piece of history over the Yantic River. Unfortunately, though, a lot of the surrounding landscape has really changed over the years and it's hard to get pictures that aren't filled with telephone poles and power lines - necessary evils for society but a real pain in the lens for photographers! 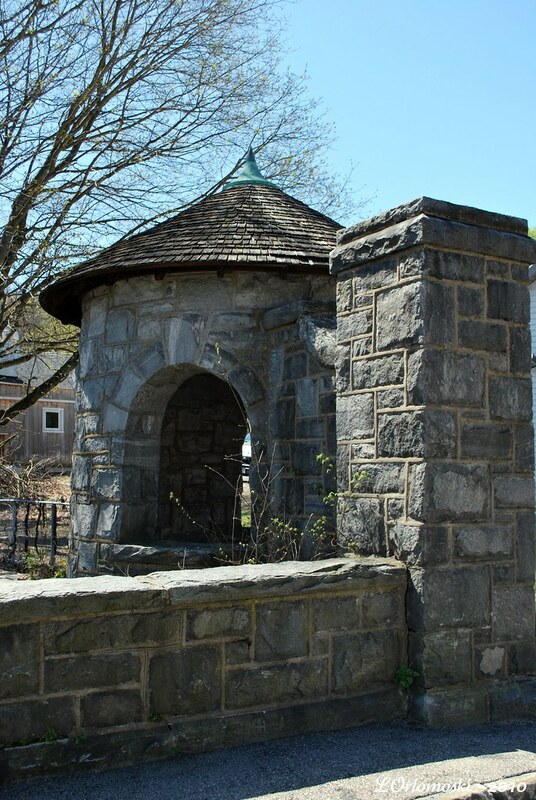 I have to admit that I was quite taken with the little guard towers - I wonder if they were ever actually occupied by any guards at all? It really is a beautiful old bridge with the two guard towers standing on both sides on the western end and two semi-circle benches made from stone in the middle where one could sit and enjoy the peace and quiet on a summer's evening if they'd like while listening to the river gurgle below. While sitting there you could take in the lovely view, though there are probably some who don't find a rusted railroad trestle as attractive as I do! Railfan or not, though, how can you not like that view?? Memo to self: I need to go back up to the Village of Yantic in the fall and take some more pictures! I always love your photos. What camera do you shoot with? By the way, I've bestowed an award upon your blog for being so sunshiney good! Oh my, I do love those old bridges. A whole granite one? Wowza, complete with towers. Great photos...as usual! I know what you mean about those annoying photo intrusions. Thanks for another great history lesson. What a beautiful bridge...So picturesque! definitely go back in the Fall! it will be just breathtaking! So pretty, I want to take a road trip now! I'm surprised that the trees are still so bare, the trees here are in full bloom now. what a beautiful and interesting town! What Empress Bee said. I'd love to go there too, and look that the beautiful blue sky. Excellent. I can see why you love it so! Why don't we build stuff like that anymore? Stuff that will last? Stuff that has character? 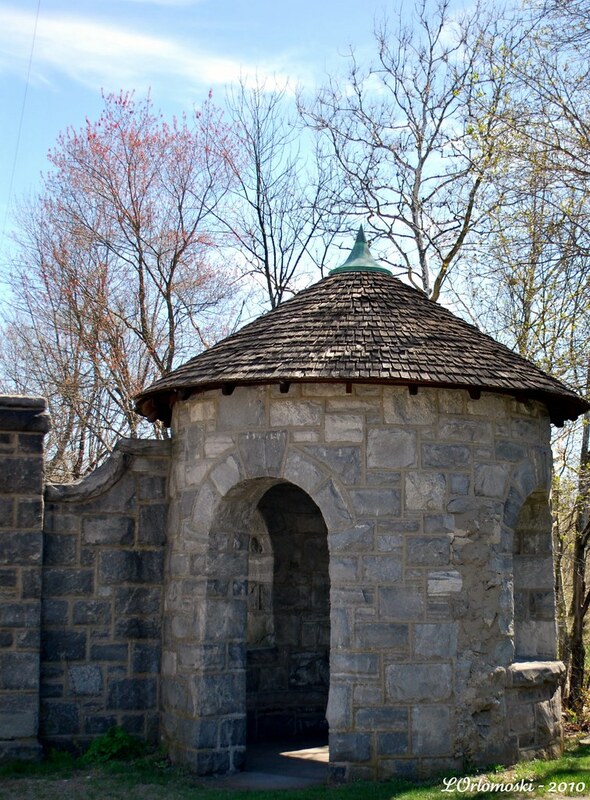 I love the little guard towers, too. 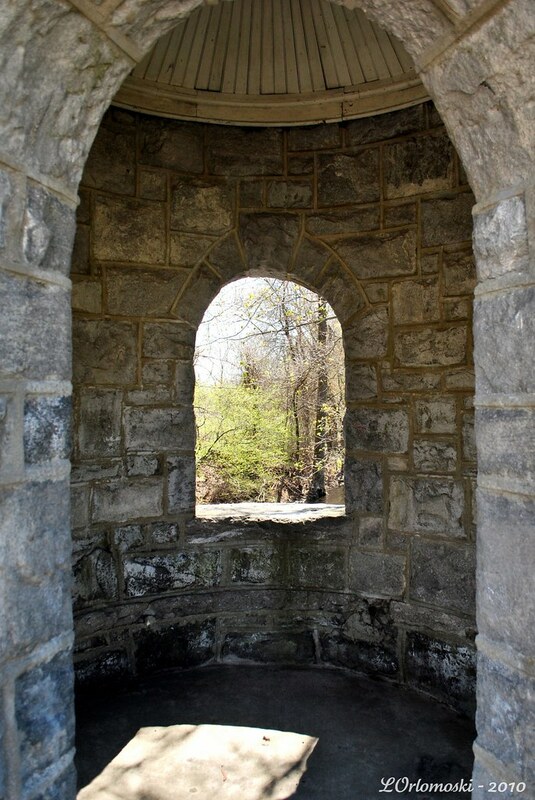 I'd love to grab me a bottle of wine, a picnic basket and take in the scenery! 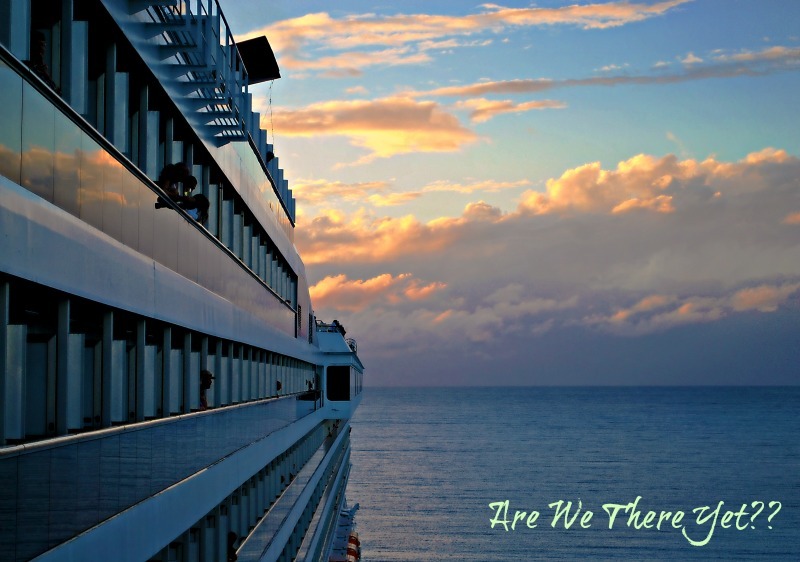 Your photos make me want to become a tourist with you as a guide. How about a job change? Did Jamie get the photographs? 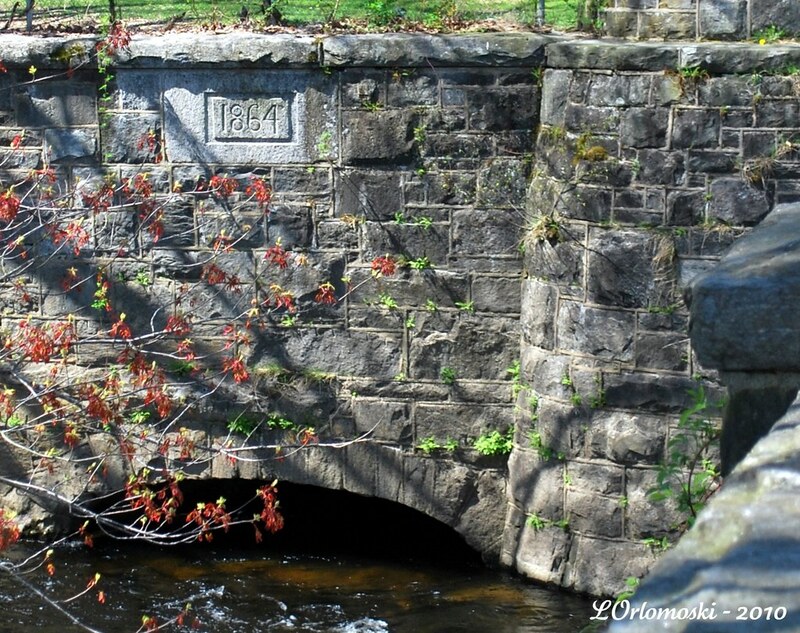 The first photo reminds me a lot of a bridge in the center of Milford, that spans the duck pond. 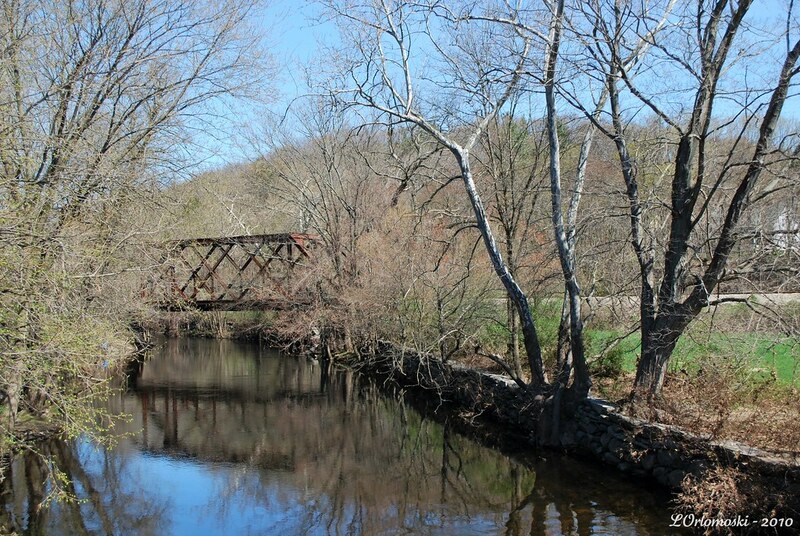 The pond is created by the (mighty) Wepawaug River which flows into Milford Harbor, L.I. Sound. The guard tower also rmeinds me of a tower in downtown Milford, closer to the harbor. That Winslow was quite a guy. If 200th is Bicentennial, what is 250th? Inquiring minds want to know. 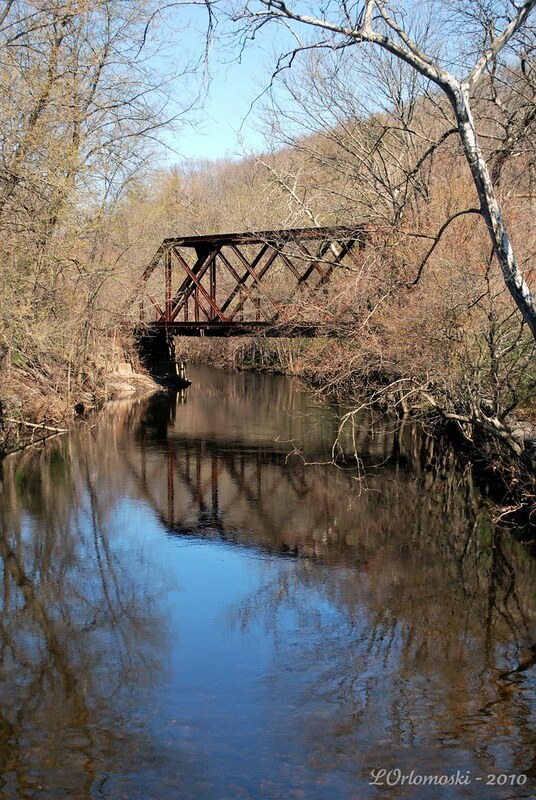 Love the reflection photos with the trestle. Thank you Linda. What beautiful pictures. 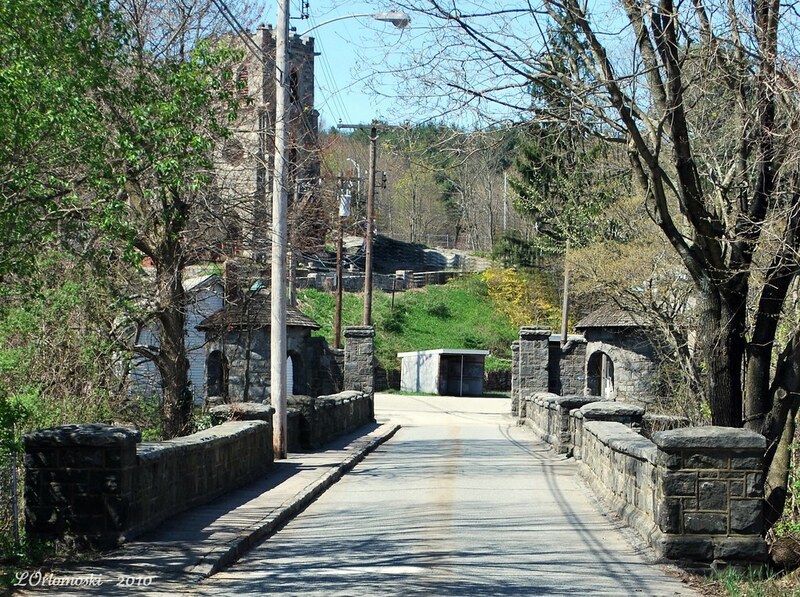 I grew up over the bridge, past the tracks, and up the hill. 51 Sunnyside. Your shots brought back such wonderful memories. Yantic was a great place to grow up. Funny ... They Don't LOOK Like Weeds! I've Got a Question - You've Got an Answer! Five on Friday - "Repo Men"